In theory, it should be easily possible, but in practice for sure we'll have a lot of problems. As is always the way! Does anybody already have a savegame, that opens all the islands or a working main.scm/code? Somewhere in Internet should be stripped main.scm which enable all islands, I can't find it ATM. Perhaps you'd be willing to share your savegame with us? That would be nice. 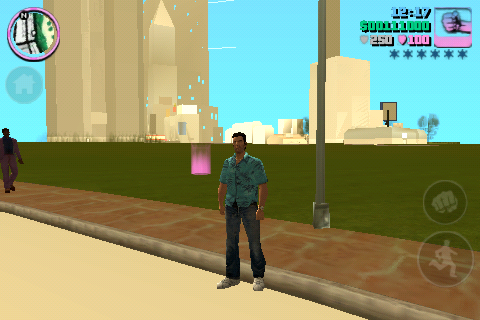 iPhone/iPad > Apps > GTA Vice City > Documents. Maybe can we can modding earlier than end of next week? Thanks to SammyXNA for finding it. What does offset 0x5C7, 0x5D5, 0x6EC? 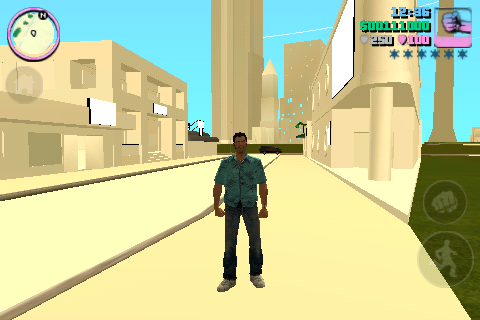 After removing gta_vc.set they are always other. I can't say, maybe there is some options with car controlling or something. Is there any reason, limit hacking etc that would stop Myriad islands from being ported? A few problems need to be ironed out (textures) and it overloads the memory on my 3GS (crashes) after a few minutes, but it works. It'll probably work much better on my Galaxy S3. Edit: I should also point out that those textures are directly from the PC version, so they can be optimized. Excellent, that shows that new txd's are possible and the mobile version of VC hasn't totally disabled (txd) modding. (my only concern tbh, because the rest of the files seemed relatively untouched) I'm kinda relieved because i thought that R*/Wardrum wanted it as locked-down like LCS/VCS. Another thing, how or why do R*/Wardrum get to (re-)release more renderware games now? I thought that they developed the L3d(?) engine for LCS/VCS because of problems with contracts/permissions/licenses for renderware? Or did R* make l3d strictly because it's far more optimised for the psp than renderware? or both? Excellent, that shows that new txd's are possible and the mobile version of VC hasn't totally disabled modding. (my only concern tbh, because the rest of the files seemed relatively untouched) I'm kinda relieved because i thought that R*/Wardrum wanted it as locked-down like LCS/VCS. Another thing, how or why do R*/Wardrum get to (re-)release more renderware games now? I thought that they developed the L3d(?) engine for LCS/VCS because of problems with contracts/permissions/licenses for renderware? Or did R* maker l3d strictly because it's far more optimised for the psp than renderware? or both? The licence for RenderWare is most likely on a per-title basis and not per platform, meaning they can port VC to any platform without anything from EA. Not sure where you got the name L3d engine, the Stories engine doesn't really have a name. They had to create a new engine for the Stories titles as RenderWare wasn't optimized for mobile and EA probably wouldn't have granted them a licence for a new title. As for the reason these mobile ports use RenderWare when it comes to the optimization standpoint, it's most likely because they want to stay as true to the original as possible. If I recall correctly, there was also a version of RenderWare for OpenGL so it was probably easier to just use RW. Game files on Android are in one big .OBB file. Anyone have an idea how extract it? Hah, cheats works! But when I typed PANZER, it spawned Landstalker. How did u get it?? If not legal, please send me a pm. I tried to unpack and pack again a .OBB file, but no results Can anyone help with that? I've spent the better part of the night trying to find a solution to this. I've tried the JOBB tool included with the Android SDK, no luck. It can't even read the original OBB. I've tried rebuilding the APK so I could try to remove the file checks there, I can't get the modded APK to install. Even tried resigning the damn thing. Hopefully when this releases someone who knows more Android development can find a solution. One cool thing about JOBB files is that it has a overwrite flag to it. This means that if we can figure out how exactly War Drum packages their JOBB files, we should be able to create add-on packs fairly easily without having to overwrite the original files. I think I'm done for the night but I'll probably try taking another stab at it tomorrow. Oh, for this moment we can mod only iOS version. Maybe if some files are in .APK, they have higher permission than files in .OBB? Not sure about including them in the APK, but after looking at some of the Java code in the APK there looks to be a switch between the OBB file and just the files in a folder. Without the ability to properly rebuild the APK however, there's no way to test it. Kinda wish Rockstar would have put VC on the Amazon App Store so they wouldn't have been able to use Google's OBB method. If you use APK Multitool, you can easily properly compile APK, simple edited handling works. If you use APK Multitool, you can easily properly compile APK. Thanks I'll try it tomorrow. I was using apktool 1.5. UPDATE: That's so simple! Game create folder com.rockstargames.gtavc in Android/data. I pasted my song into created "audio" folder and song works ingame. Suspected that it could work, but never tried it as I figured it would create conflicts. Does it override the need for the OBB file?